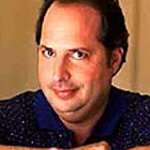 Comedian Jon Lovitz is set to open his highly anticipated comedy club in California tonight, May 28, with proceeds to go to charity. The grand opening of the Jon Lovitz Comedy Club at the Universal CityWalk will attract a host of stars, including Heidi Klum, Seal, Dana Carvey, Christina Ricci, Lisa Kudrow, Daryl Hannah, John Stamos, Tia Carrere, Gilles Marini, Scott Foley, Paul Reubens, Kristi Yamaguchi, Brooke Burke, Ed O'Neill, Krista Allen, Gary Marshall and supermodels of the co-sponsoring Next Models agency. The opening will benefit the Ovarian Cancer Research Fund, a non-profit organization committed to funding research to find a method of early detection and ultimately a cure for ovarian cancer. The new 400 seat club will have a beach theme, and will offer two shows a night, drawing upon the wide range of headline comics Lovitz has worked with. More info can be found at the club’s MySpace page.